to go back into the ocean after losing an arm in a shark attack. Happy Friday guys! What’s on tap for the weekend? Danny and I are staying in tonight. Movie Night. 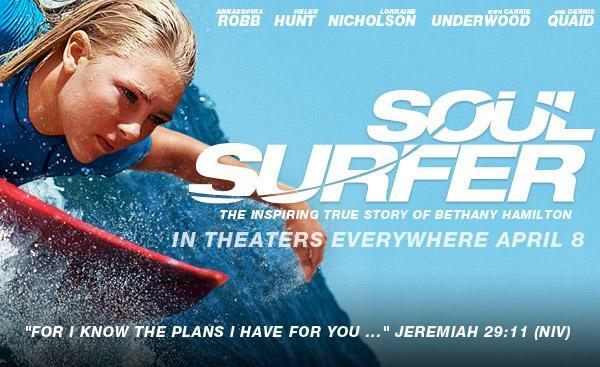 We’ve I’ve already decided we’re gonna watch Soul Surfer. It’s the perfect marital movie compromise. I love surfing and Danny loves sharks. Given the premise, this movie should have a little something for the both of us. Plus, Kevin Bacon is in it, but you already knew that, didn’t you? 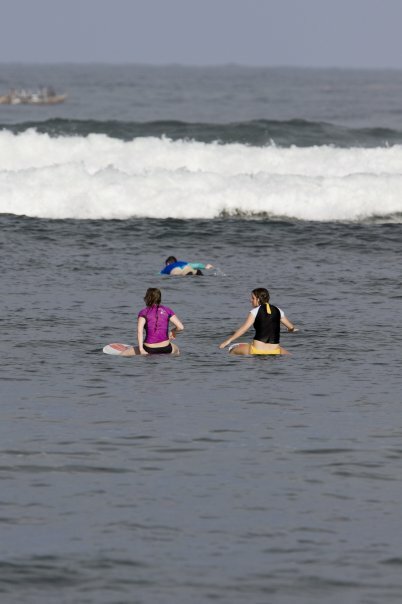 I began my surfing career a few years ago in Hawaii. That’s when I officially began it. 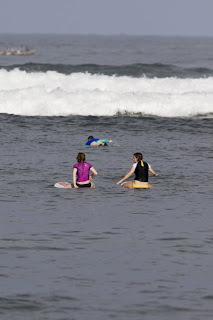 Unofficially, I’ve always been a surfer. Ever since seeing Blue Crush in college. But because I lived in the Midwest I didn’t have an opportunity to practice my craft. So I concentrated more on the living the surfer life style; shopping at Pacific Sunwear, wearing Billabong and Roxy shirts, smoking grass, describing things as “far out” and telling my friends to “hang ten”- that type of thing. Did I mention I was super cool in college? That's all I have for you guys today. 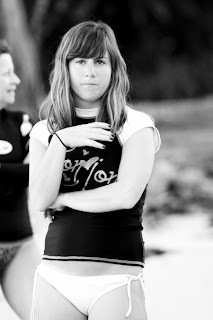 That and these pics of me as a surfer girl. Have a good weekend! Hang Ten!!!!! That's me just catching some surf. Kevin Sorbo is in it...not Kevin Bacon. :-D I just watched it. I too have a love for surfing and sharks. I wont give away the shark bit. But I didn't like it. :-( Enjoy it though!!! Its a great movie! If wearing Billabong & Roxy and smoking grass makes you a surfer, we have a lot of (non-practicing) surfers here in north Texas (DFW). Ha. I mean a crapload of them. There was a girl who (in my head) I called Billabong girl, because she wore something Billabong every single day. Hope you have fun watching the movie :) I don't know how I would be brave enough to surf after losing an arm to a shark but huzzah! More power to her! www.surfrider.org/chicago - check out the secretary - she's pretty cool! !